The beauty world can be a funny old fickle world where you can almost create a first impression without even trying the product. 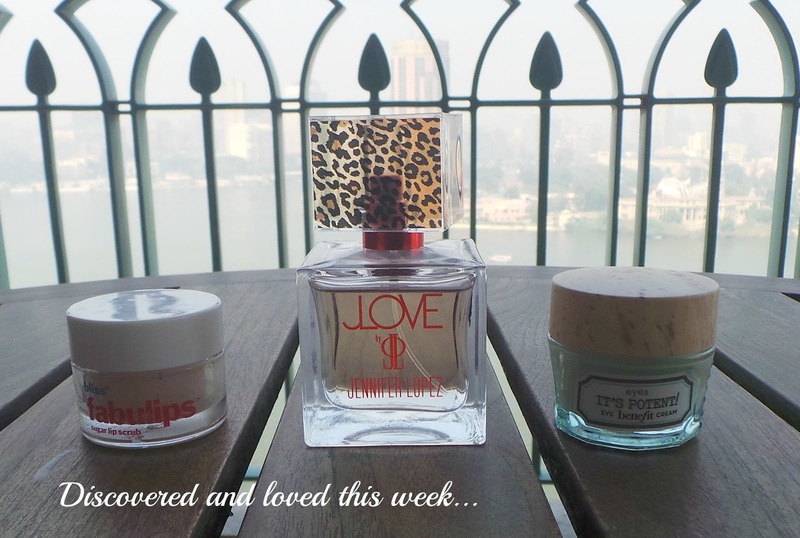 I have been making a real effort to try the new things I have in my stash and on my trip to Cairo this week I threw in a few unopened products with the intention of trying them out. One I was 100% sure I was going to love and two I was sure I wasn't going to like at all but wanted to try! First up is the product I was sure I was going to love because everything I have tried from the brand so far I has been fab!! Bliss is such a great brand-I love their face masks and cleansers and was delighted when my friend Hannah bought me the Bliss Fabulips Gift Set for Xmas which included this scrub. I LOVE lip scrubs and have raved about the Sara Happ scrubs for being fab and moaned about the Lush ones for being way too harsh. This Bliss one is as good as the Sara Happ ones and is probably even better if you have very sensitive lips. Of course it smells amazing because it contains orange and vanilla (smells a bit Christmas-274 days to go people) but I have found it to be the gentlest lip scrub I have used because the base of it is a cream rather than a gel (or just solid rough granules in the case of the Lush one). Despite being creamy and gentle it's really effective. It also contains sweet sugar, almond and walnut shells to do the all important sloughing off of dead skin (it you have a nut allergy it may be best to steer clear...) but also all the good nourishing stuff like jojoba, olive oil, shea and cocoa butter and vitamins A, C and E leaving you with the smoothest, softest, most kissable lips. This is a definite repurchase for me as I am obsessed with having smooth lips. You can get it direct from Bliss for £12. Next up is something I thought I wouldn't particularly like but have been surprisingly smitten. I was sent the newest launch from Jennifer Lopez to try and it is a really gorgeous, fruity spring perfume. I don't think I own any celebrity fragrances and they're not something I seek out when shopping so I have been pleasantly surprised. 'JLove'* is quite reminiscent of Jo Malone Peony and Blush Suede to me and has top notes of raspberry but then as it dries down it has notes of coconut and vanilla. It's very easy to wear and perfect for this time of year. It's really uplifting and 'happy' if that makes sense? As a sucker for animal print I also really like the bottle top! You can buy JLove from most perfume retailers in the UAE for AED225. Lastly is the Benefit 'It's Potent' eye cream. I was bought this by my goddaughters for Xmas but quite honestly people from Benefit I was put off just by the name!! I wasn't sure I wanted to put something 'potent' around my eye area!! I threw it in my washbag because my Estee Lauder Advanced Night Repair had run out and this is a fairly travel friendly size. And it's lush-it's so thick and creamy and just melts into the skin-brightening and smoothing as you apply it. I have to be quite careful with eye creams-anything with vitamin C in it works great on my face but is too harsh under my eyes and stings like crazy. I was worried (from the name) it might be too potent a cocktail of ingredients for my eye area but I was wrong (yey!). It contains a peptide complex and peptides are an anti aging powerhouse and tons of hydrating ingredients like glycerin and sweet almond extract. I've also been loving this view from my hotel room in Cairo this week! I stay at the Four Seasons Nile Plaza in Downtown Cairo and at night I have loved just sitting on the balcony absorbing the energy and noise of the city down below-I love Cairo! Three new products, two wrong initial impressions and three new firm faves. I never usually like to be wrong but am happy to be in this case!! 600 BLOGLOVIN FOLLOWER GIVEAWAY-Naked 3 palette! Lou from 'Lou Loves Beauty' Guest Post-Lip Six!